The Friends of Pickerington Public Library is holding a book sale at Pickerington Main. A variety of books, CDs, DVDS and vinyl albums will be on sale. This free recurring event provides great networking opportunities and insight into the business world. Team Pickerington Pelotonia is hosting a lip sync battle at Combustion Brewery & Taproom. All funds will go toward cancer research. This fifth annual event, sponsored by Pickerington Lions Club and Leo Club with Dwayne R. Spence Funeral Home, raises money for Pilot Dogs Inc. Participants are encouraged to bring their dogs. Pickerington Parks and Recreation presents its community chorus, color guard and the winners of the third grade essay contest to celebrate Arbor Day. Sponsored by the Pickerington Village Association, Combustion Brewery & Taproom is providing a venue for local vendors, artisans, farmers and bakers to sell fresh produce, baked goods and souvenirs. There will be free cookie decorating for the kids as well as a meet and greet with the Easter Bunny. Hosted each spring, the Vintage & Made Market brings 100-plus vendors to the historic grounds of Fairfield County Fairgrounds. This event will include a variety of food trucks, live music and vendors from across the Midwest. On April 13th, the Pickerington-Violet Township Historical Society Museum will be free and open to the public. This year’s open house will feature local artifacts, from American Indian tools and weapons to Pickerington’s first town pump. Mondays, 5:45-6:45 p.m., Peace United Methodist Church, Rm. 6, 235 Diley Rd. All students start in this beginner, self-defense class designed to teach the foundations of Poekoelan Kung Fu. They learn how to roll and fall without injury, 55 self-defense holds and basic strikes, kicks and parries. Tuesdays, 6-7 p.m., Peace United Methodist Church, Rm. 17/18, 235 Diley Rd. Poekoelan Kung Fu is an Indonesian/Chinese martial art that will teach you a foundation in fighting and self-defense from stand-up to ground techniques along with several self-defense holds forms and stances. This event by the Pickerington Area Chamber of Commerce brings in speakers for a day of professional development for local and regional small business owners. This event will feature several topics including company culture and business as your legacy. This 20th annual Violet Township Women’s League event, which features a luncheon and raffle in addition to the style show, raises money for the league’s community service scholarship fund. The Driven Leadership Conference answers the question, “What drives you?” It provides ways to enhance your leadership, motivate and develop the mindset required to become an excellent leader. Pickerington High School North Theatre presents MAMMA MIA! Pickerington North’s student actors present the world-renowned play, Mamma Mia! for its spring musical. This smash-hit musical will feature ABBA’s greatest hits and a captivating story of friendship, love and music. Pickerington Community Theatre is holding auditions for its summer production of Spamalot. The eighth annual 5K is open to all, raises money and awareness to encourage people to live a drug-free life by spreading its “speak up and save a life” message. This event will feature taco trucks, live music and five margaritas included with your all-inclusive ticket. Now in its 14th year, this annual event raises money for St. Jude’s Children Research Hospital. It features cocktails, dinner, live and silent auctions, a patient speaker, and a Give to Live event. The Pickerington Community Chorus puts on its spring concert. The eighth annual Dark Star Jubilee is taking place Memorial Day Weekend. Over the three-day weekend, Dark Star Orchestra headlines with countless other acts bringing the Grateful Dead’s music back to life. This exhibit showcases contemporary masters and emerging artists whose styles range from sculpture and design to painting and fiber art. This collection will highlight art that is relevant to this moment in time as well as varied in style. 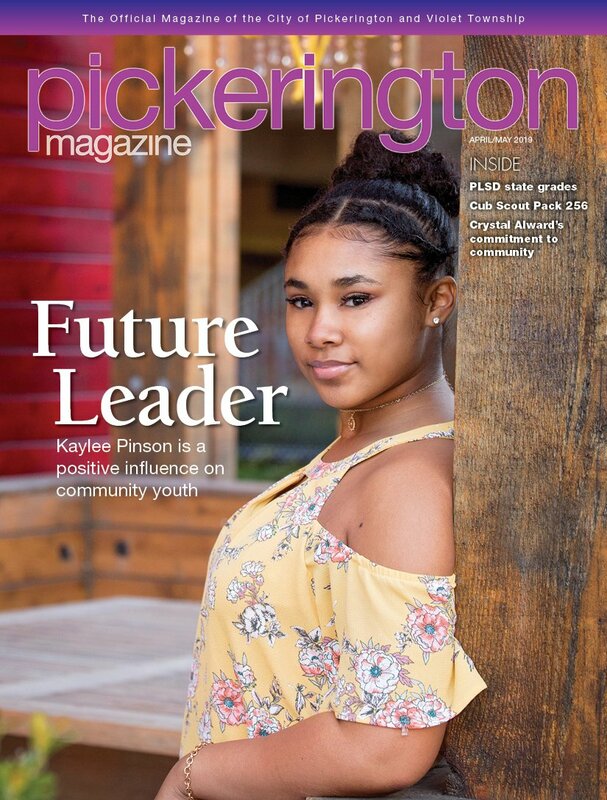 Members of the class of 2019 at Pickerington’s two high schools turn their tassels.